Before you put yourself into a candy coma you should feed yourself some ear candy while you sweat it out on the treadmill. 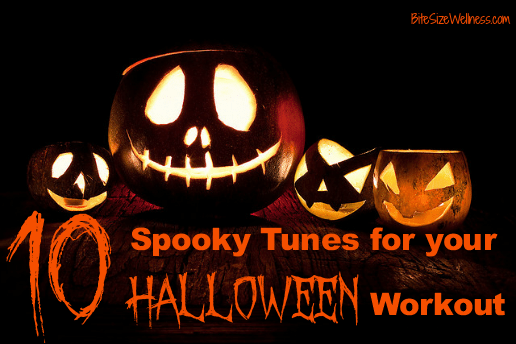 If our fitness inspired Halloween costume ideas didn’t get you into the holiday spirit this soundtrack of spooky songs is sure to bring Halloween to the forefront of your mind. Halloween brings some graveyard smashes and here are the 10 tunes for your next gym outing you should not be caught (dead) without! What is your favorite Halloween song? Do you plan to work out before you overdo it on the candy?